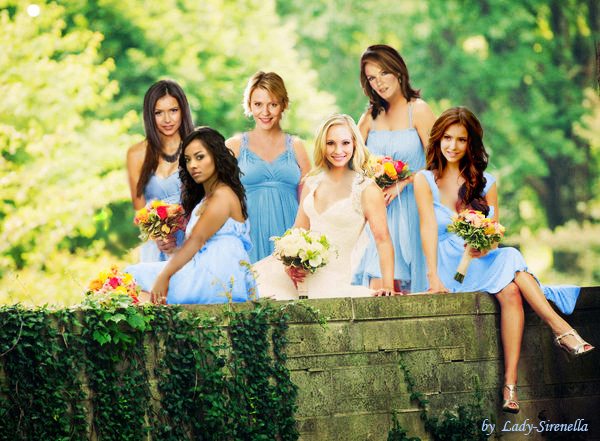 Wedding day of Caroline Forbes. . Wallpaper and background images in the Elena Gilbert club tagged: elena gilbert nina dobrev katerina graham carol lockwood candice accola elizabeth forbes marguerite macintyre susan walters. This Elena Gilbert fan art contains bridesmaid and maid of honor. There might also be bouquet, corsage, posy, and nosegay.